CIRCUSDAM - works | ラウンドテーブル｜roundtable Ltd.
Are you experiencing sleeping in the shade of the sun in calm? The trees that stand on the spacious grounds create their whereabouts at your feet. The spread of branches and leaves moderately blocks the sun, drops the sun through the leaves, encloses it moderately and gives us a sense of security and peace. 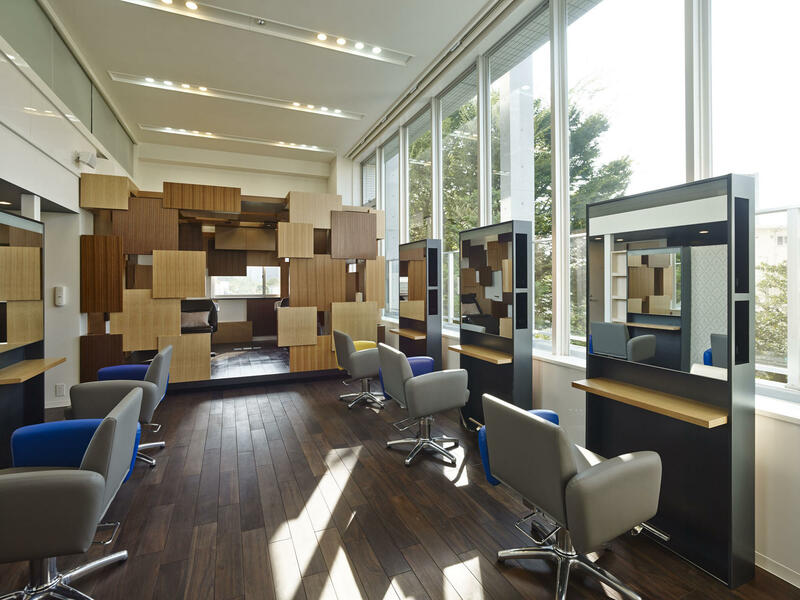 With such keywords "shade of the trees" and "Sunbeams leaves", we planned a quality but comfortable salon.